Episode 81: What’s on JOE Mind? It's an FSS EXTRAVAGANZA! We are joined by regular guest host Craig from The Fwooshcast and show friend and toy designer Eric Araña as we give our thumbs up or down ratings of each one of the figures we will see in FSS2. Justin and Gary review their ratings from FSS1 to see if they got anything that changed their minds from their initial ratings way back in 2011. Erik clues us in on what he's been up to since he left the corporate toy world and what he has planned for the near future. Even though the news this go-around was light, we turn the mailbag upside down and answer the last bits of unanswered mail from the past year as well. Lastly, we are proud to announce our upcoming spin-off podcast, The Full Force. To learn more about it, you got to listen! Enjoy!! 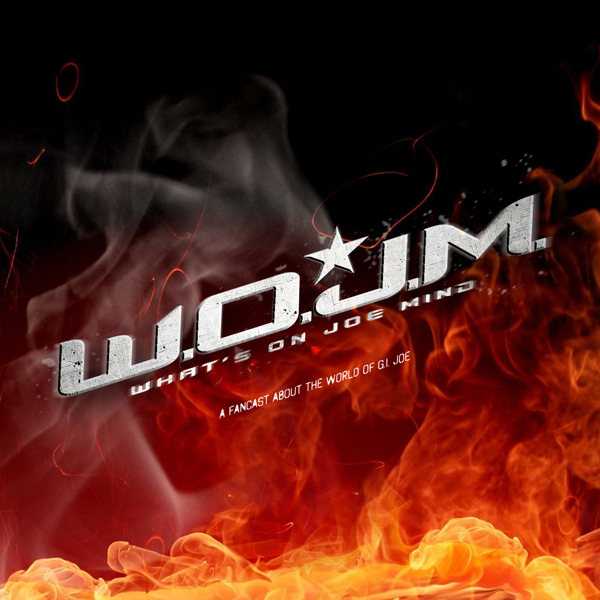 WOJM Special Edition #28: Our Review of Retaliation…AND JON CHU!! Once again, first off, there are many many spoilers discussed in this episode. If you have not seen the movie and do not want to be spoiled, we recommend you DO NOT listen to this until you have seen the movie first!! So we've all seen the movie. There is some parts WE LOVE. There are some parts that still need some work. Aaaand, yes, there is a part or two that made us cringe. With that said, we all enjoyed our time at the theater to watch the movie we waited so long for. What were our favorite parts? What parts did we not like? What would we do if we were in charge? We answer all of those. Plus...we get an unannounced but very welcome visit by Retalition's Director - yes, Mr. Jon M. Chu himself joins us from his kitchen. He spends nearly an HOUR with us candidly answering every question we asked him. What an opportunity - thanks to Justin for setting that up and thanks for Jon joining us while going over opening night return numbers. We had a blast doing this one and we hope you enjoy this once-in-a-lifetime recording of WOJM! Once again, spoilers are abound - you have been warned!